There’s nothing quite like the smell of fresh bread. Warm from the oven, dripping with butter. Yum. Even more heavenly is the opportunity to make this delicious bread yourself. At Boschendal, we love food. We love serving and eating freshly produced, healthy food. What we love most is doing all of this with like-minded friends. So we’d like to invite you to join us for our next culinary workshop, an amazing bread-baking weekend, fuelled by good food, wine and humour — as well as dough! Our artisanal bakery is run by a dedicated team, the unsung heroes behind the delicious breads served at all the eateries on the farm. Their ardent love for their craft shines through in their beautiful creations, and it is not easy to walk past the bakery here on the farm without popping in for a taste. This passionate team will share its knowledge and skills with a small group of baking fans for this special weekend. Executive Chef Christiaan Campbell will head up the fun and insightful workshops, sharing both his passion for natural fresh produce and his witty repartee that make any culinary event with him a real pleasure. Guests will check in for the bread-baking experience at 14h00. After a short introduction by Christiaan, participants will get started right away with a quick-and-easy bread session followed by the preparation of slightly more complex doughs. Guests will have some time to relax on Boschendal estate and, in the evening, enjoy a three-course dinner at the gorgeous Werf Restaurant. 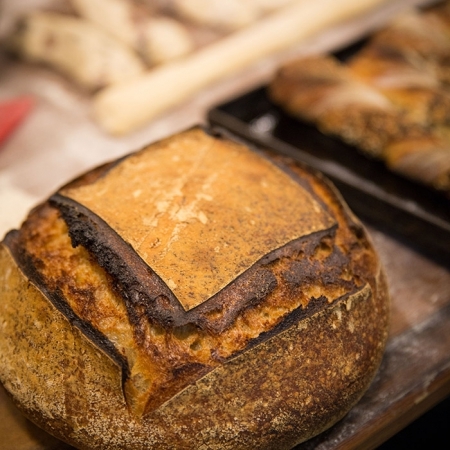 The next morning begins with a leisurely breakfast in the Farm Shop & Deli, followed by a session with the Boschendal bakers to master the more complicated breads, gain wisdom from their baking expertise and learn some of their top secret baking tips. A light lunch in the Farm Shop & Deli, featuring some of the breads made in the morning session, will wrap up the workshop. This delectable weekend takes place on the 12 and 13 August 2017. Reserve your spot soon as places are limited.